Welcome to the “Catholic Life of our School” page. Through this page we aim to share with you and celebrate many of the elements which make our Catholic school so special. 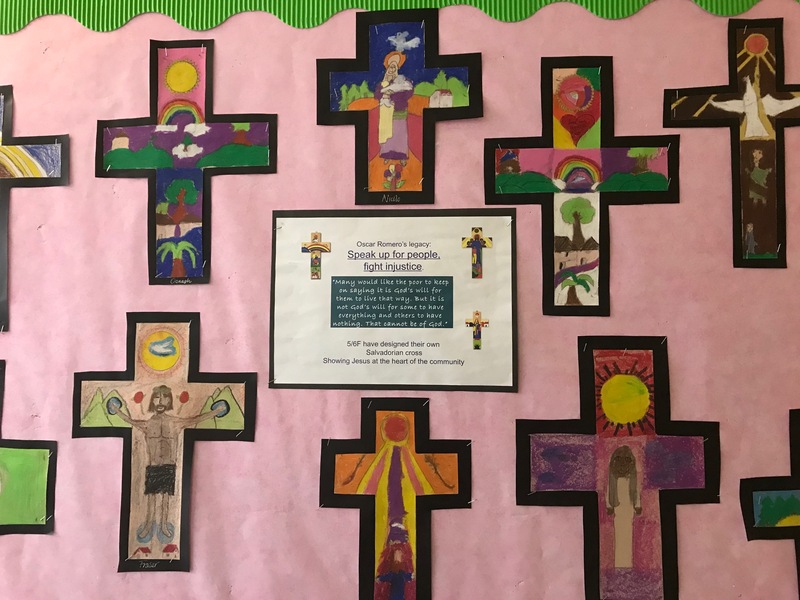 On this page you will find information to help families, the Parish and school work together in supporting the development of our children’s faith and Religious Education. We have also included our Mission Statement, with a simplified version for our younger pupils. There are also photographs of our school work, displays and charity work . Information about our RE policy can also be found on this page. We hope that you find it informative and interesting!